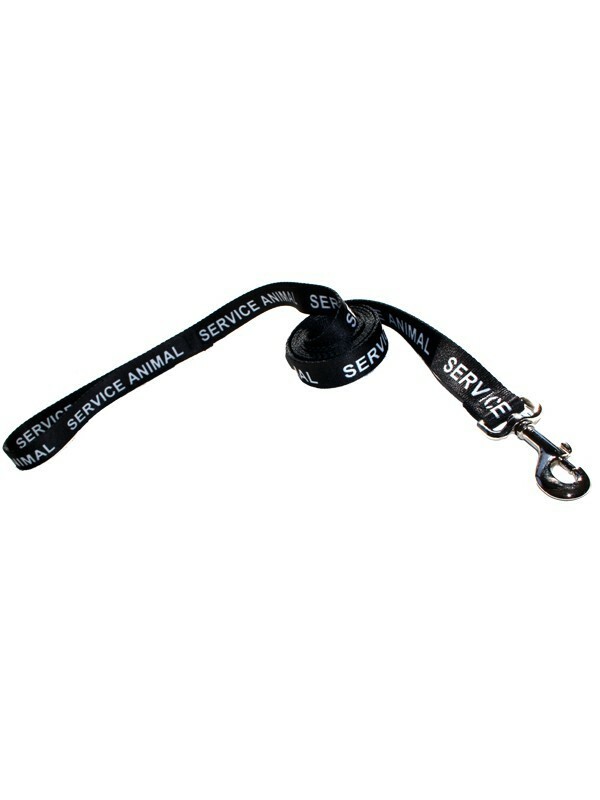 We design and make this 4-foot black service dog leash to last longer than you'll need it, and we make them in the USA! An example is the more expensive sublimation process we use for the lettering. They won't fade, wear, crack, or peel over time. If you are comparison shopping, make sure you are covered! Our leashes are backed by a lifetime warranty! This black, 4-foot service dog leash is exactly what you need if you want your dog to be easily identified and prefer keeping him/her close to you in public. With highest quality construction durable sublimated lettering, this 4-foot service dog lead is made in the USA, and strong enough to endure for many years. Backed by our 12-month guarantee against defects!